G.P. Putnam's Sons, 9780399176111, 400pp. From the bestselling author of The Yard comes a chilling contemporary thriller about an enigmatic hunter on the trail of a Nazi who has secretly continued his devilish work here in America. Travis Roan and his dog, Bear, are hunters: They travel the world pursuing evildoers in order to bring them to justice. They have now come to Kansas on the trail of Rudolph Bormann, a Nazi doctor and concentration camp administrator who snuck into the U.S. under the name Rudy Goodman in the 1950s and has at last been identified. Travis quickly learns that Goodman has powerful friends who will go to any length to protect the Nazi; what he doesn't know is that Goodman has furtively continued his diabolical work, amassing a congregation of followers who believe he possesses Godlike powers. Caught between these men is Kansas State Trooper Skottie Foster, an African American woman and a good cop who must find a way to keep peace in her district--until she realizes the struggle between Roan and Bormann will put her and her family in grave peril. 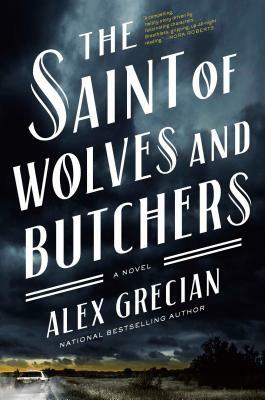 Alex Grecian is the nationally bestselling author of The Yard, The Black Country, The Devil's Workshop, The Harvest Man, and Lost and Gone Forever, as well as the critically acclaimed graphic novels Proof and Rasputin. Grecian lives in Kansas with his wife and son.